"The only thing more stunning than my toxins are my looks." Injector, looking for a companion as good looking as he considers himself to be, inputs his own DNA into a crashed Maximal stasis pod. 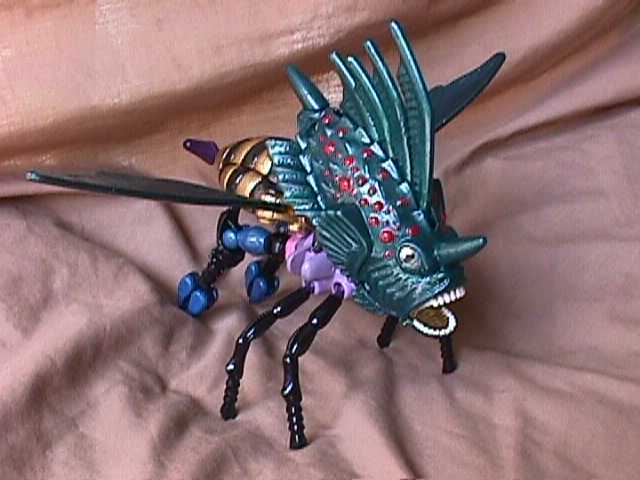 The result, Aquasting, a deadly female Predacon who's as vain as he is. She is flirtatious both with her fellow Predacons an d Maximals alike, even though none of them (besides Injector) find her even vaguely attractive. Being both part lion fish and part wasp, she is equally at home both in the air, and in the water. In robot mode, she can use her twin wing blades as either shields, or as deadly slashing weapons. 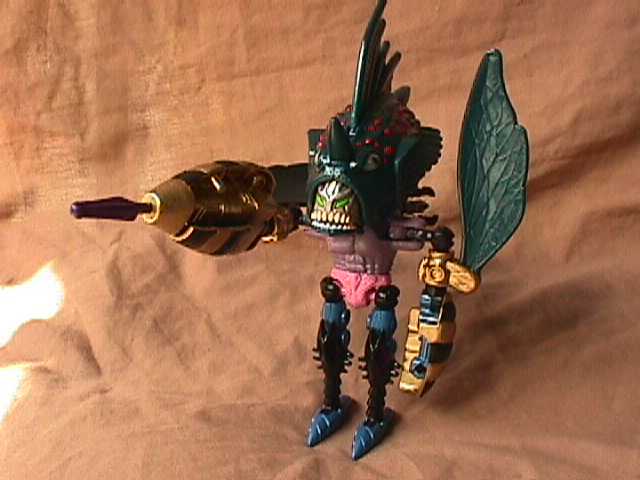 She also wields a stinger missile launcher, similar to Injector's. While Aquasting can be an effective warrior, the illusion she shares with Injector about her looks can cause her problems, especially when she wastes her time trying to charm her opponents, rather than just shooting them. While she flirts with all the Predacons equally, she is mostly attracted to the ones with the most power, making Megatron an unwilling target of her misplaced affections.